NPC18 rolled on with another packed day of sessions, discussions, and the annual National Planning Awards luncheon. Catch up on what you may have missed, and see the highlights of what you did, in our wrap-up of all of the action at NPC18 on Monday. Today, five excellence and 16 achievement National Planning Award recipients were recognized at a multi-media luncheon presentation. The recipients, ranging from Oklahoma City to Beijing, China, illustrate how planning is creating healthier, more just communities. Very often, placemaking improvements have the unintended — or sometimes intended — consequence of driving original residents and business owners out of gentrifying neighborhoods. This packed session on placemaking and gentrification — with representatives from Detroit and Santa Ana, California — outlined tools being used to fight negative impacts, boost affordable housing supply, and maintain affordability. The two main takeaways? Plan early for existing residents to avoid unintended consequences, and more authentic communication earlier in the planning process opens the door to a more inclusive planning process with fewer negative impacts. Land banks and land trusts, inclusionary zoning, rent control, and a greater emphasis on relationship building between new and old residents were among the tools and ideas spotlighted. Learn more about Planning Home, our action agenda, and how to support the effort at planning.org or stop by the housing kiosk in the APA Pavilion before tomorrow's closing plenary. "No One Should Have to Die Simply by Getting Around"
In Colorado, motor vehicle crashes account for more than twice the number of deaths as homicides. 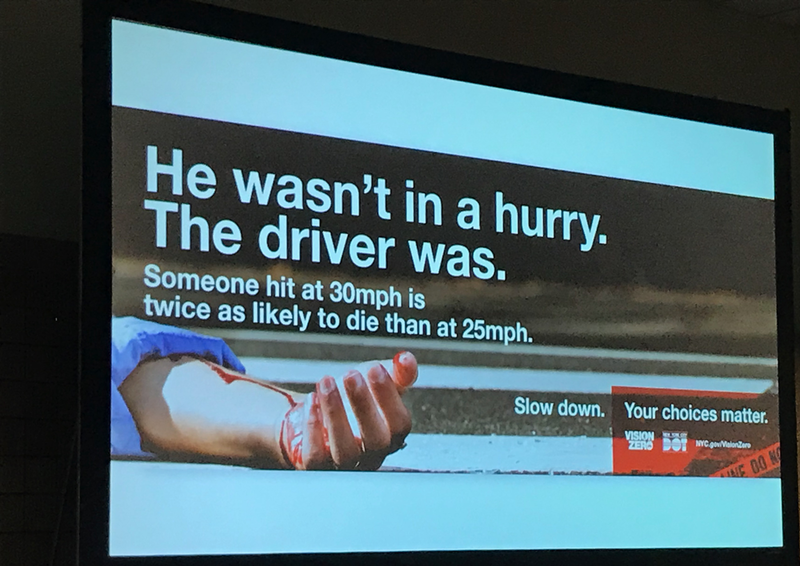 That was the harsh reality posed to attendees of Monday's session "Vision Zero: A Transportation Revolution." Because of disparities in sidewalks, crosswalks, and streetlights, it is usually poorer and disadvantaged residents that are disproportionately impacted. Local activists, planners, and officials in Denver, Seattle, and cities across the country are turning to the Vision Zero movement to make their cities' streets safer for all. Presenters offered several successful strategies — and the data to back them up — and data-driven planning tools that planners in other communities can use to improve road safety. The speakers agreed: AVs aren't coming, they're here, and we need to start planning for them now. "It's never too early to start your land value capture program." A standing-room only crowd at the Land Value Capture for Community Benefits session learned about the tools and legal framework planners can use to assess and collect some of the cost of public improvements from the private properties that directly benefit from the public investment. Panelists focused on "non-consensual" capture devices including special assessments, incentive zoning, and impact fees. 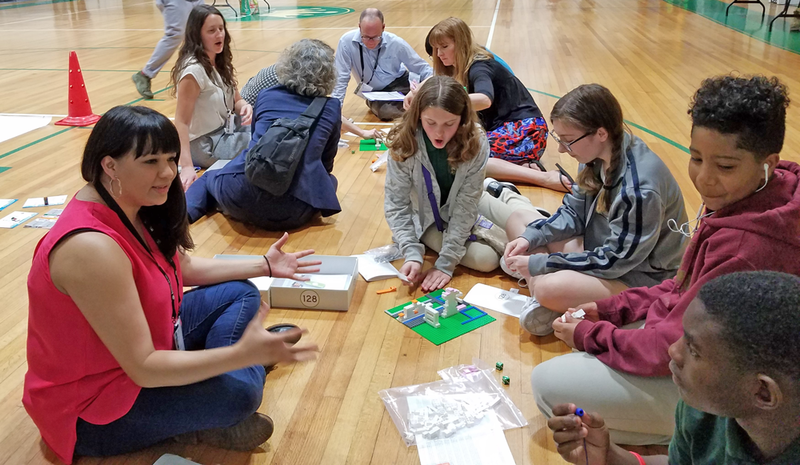 Case studies from Baltimore, Connecticut, and Denver illustrated the opportunities and challenges with land capture tools. Photo by Ryan Scherzinger, AICP. Close to 20 planners visited the Boys and Girls Club in the Gretna neighborhood this afternoon to learn about engaging youth with planning and then putting it in action with close to 100 kids. APA partnered with Youth Engagement Planning (YEP!) to organize the event. YEP provided their experience and resources and provided planners with new and creative ways to get kids thinking about planning concepts and to help see where they live in a new way. Attendees continued to tweet, ‘gram, and snap their way through #NPC18 and New Orleans. Check out our Tint feed to get a sampling of what they've been sharing. Top image: An AV in the Tech Zone drew attention at NPC18. Photo by Riverview Photography.